Breathtaking view of main channel, year round water, cul-de-sac, privacy. Hickory hardwood floors, cathedral ceilings, loft, hardwood tongue and groove ceilings, open floor plan, lots of windows and natural light, hardwood staircase, master bedroom and additional bedroom on main level, bonus room/loft could be used for 3rd bedroom and/or extra sleeping quarters. Garden level has unfinished space ready for expansion (approx. 500 sq ft) and includes finished 3rd full bath. 2 car garage, decks and patios, plenty of guest parking, 2 HVAC units, Anderson windows, low maintenance exterior features metal roof, vinyl siding, on public water yet has well water serving 2 hydrants, propane gas tank serves stove and dryer, permanent dock plus boat house with lift. 240 ft water frontage, .70 acres NOTEconstruction consist of truss system making for quality construction, wheel chair accessible doorways, full size separate laundry room, pantry. Must see to appreciate. 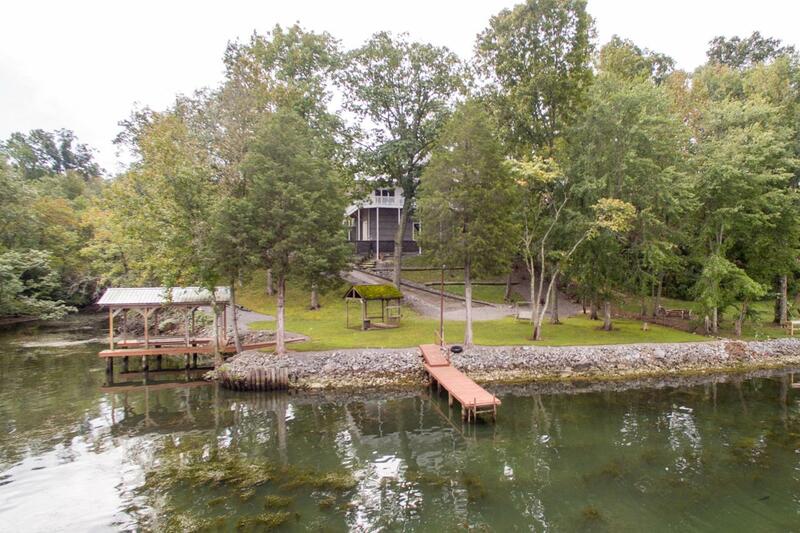 Picture perfect lake living for primary or secondary home enjoying the view, pleasure boating, fishing, jet skiing, tubing, wake boarding and cookouts...fun for the entire family and friends.